Not worried about your data security? You should be. Millions of data records are being stolen or destroyed every single day. If you’re failing to prepare, you’re putting your confidential files and data at risk. Thankfully, there are ways to reduce the risk of losing your data without breaking the bank. Here are 7 of the most effective ways you can protect your confidential files from disaster. There’s little point making preparations for your data and confidential files after you’ve lost them. That’s why having regular, secure backups is essential. That’s a strategy you should employ both at home and in the office. Windows, for instance, includes built-in backup tools. You could also look to back up your files remotely to a cloud-based service, or to an external hard drive. Don’t rely on just one backup, either. If you’re relying on an external hard drive, you could potentially lose all of your data if it breaks. If that happens, check out these tips for recovering files from an external drive. File encryption – it sounds complicated, but it isn’t. In fact, Windows includes several built-in options to encrypt your disk drives, preventing hackers from accessing your data without the proper access. You can even encrypt your entire machine using Windows BitLocker, or you could look at a more targeted approach. Password protecting files and folders with impossible-to-crack password encryption is another option you can use at home or at work. Take a look at some of the best encryption tools here. You need to be taking reasonable precautions when it comes to your file security, and we recommend you only allow access to your files to those who need it. You shouldn’t leave your security data on open drives or allow any user to access them (especially in an office environment). One way to do that is by taking advantage of Windows’ built-in Rights Management Services. This allows you to set restrictions on what other users can do with your files, based on the access they’ve been granted. You could stop a user from editing, copying or saving files, for instance. This sort of read-only access, or preventing any access at all, could help to prevent data loss. E-mail is a staple in most of our technology-driven lives, but you should be aware of the risks when you look to protect your data. Part of the problem is the way e-mail works. When you send an email, your e-mail is routed through two mail servers – yours and your recipients. It also has to go through every other ‘hop’ point – the connections between your mail server and theirs – across the internet. A copy then gets saved on that end server, where the security is out of your hands. Sensitive data just isn’t meant to be sent or saved this way. Unless you want the controller of your recipient’s mail server, or a hacker along the way, to be able to peek at your data, you should avoid e-mail for anything critical. If it’s impossible to avoid using e-mail, you should look to use encryption to protect the data being sent. Find out how you can encrypt your emails here. If you’re doubting whether a hacker could intercept your e-mails, pause for a moment and think. Have you ever checked your inbox at a hotel or restaurant and used their free, open wifi? There’s every chance that someone malicious could have been sat close by, ‘sniffing’ your data. Sniffing is when a hacker intercepts the data being sent back and forth on a wireless network. Data like your important files being sent by email. This is why you should only use wireless networks with secure and effective wireless encryption. That includes your own. Decide on the right wireless encryption for your own wireless network with this list of options. There’s a problem with passwords – most of them are terrible. And, in many cases, they’re the reason behind many data breaches. Over half of us use passwords that are over five years old, and we use them more than once. Given that data breaches are occurring with alarming frequency, this is putting our personal data at extreme risk. Consider your password security often, and with urgency. Never recycle a password, never share it, and make sure it’s hard to crack using a combination of numbers, letters, capitals and special characters like dollar signs. You could also look into using a password manager to help generate and secure your passwords. Check out these password manager recommendations to help you choose the right one. Really paranoid about your data? Why not hide your most critical data in plain sight using steganography, the art of masking your data in ways a hacker wouldn’t expect. Let’s give you an example. You have a critically important text file, filled with all sorts of corporate and personal secrets, and you’re worried that someone is going to swipe it from your computer. Using software like Steghide, you could hide this data file in another image, like a vacation snap, or in an audio file of a song. If a hacker does gain access to your system, they won’t know the data is there, adding an extra layer of protection. We’re not exaggerating when we say data security is critical to your business. With over half of small businesses closing after a cyber attack, you can’t afford to neglect your data security. But with these simple precautions in place, you can reduce the risk of losing your confidential files. Encrypt your data, don’t use unsecured wireless networks, and avoid email for anything sensitive. If you’ve already suffered from a breach of data security and you’re worried that you’ve lost your data, don’t panic. Get in touch with us today and see if we can help you restore your data. Are you worried about data breaches and unauthorized access to your confidential files? 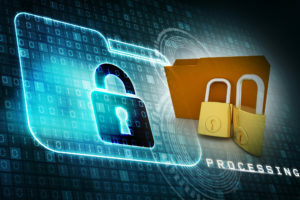 Is protecting your data and sensitive information a top priority? If so, use the 7 tips found here.